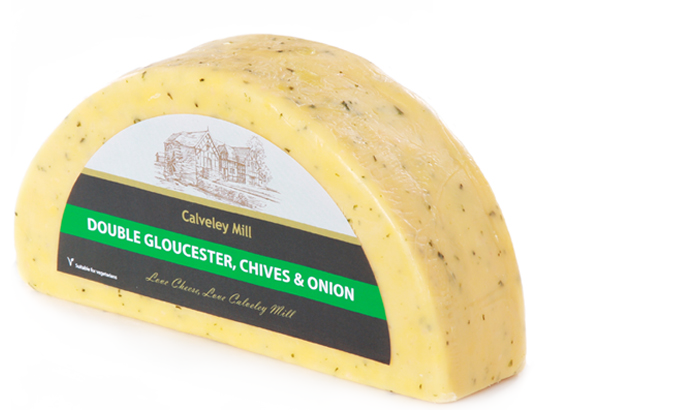 Our Calveley Mill range is our branded range and offers a wide selection of high quality, delicious cheeses. This extensive range of premium cheeses includes British favourites such as traditional Cheddars, Cheshire, Wensleydale and Stilton as well as many interesting and innovative flavour combinations. The brand has developed a reputation for quality and consistency. The Calveley Mill product portfolio includes fruit cheese combinations which range from traditional pairings such as our Wensleydale & Cranberries, Wensleydale & Apricots, White Stilton & Apricots to new and exciting fruit flavour combinations such as Cheddar Cider & Apple or Wensleydale, Mango & Ginger. If you aren’t a fan of fruit in your cheese then there are still plenty of other interesting combinations. Our Cheddar, Sage & Onion, Sage Derby (Derby Cheese Rubbed With Sage) or Bonfire Smoked for example or for marmite lovers Cheddar & Marmite. We also have a range of cheeses combined with chilli, these range from cheeses with a hint of heat right through to more adventurous options such as our scorpion cheese which is fiery and extremely hot. If you are looking for a range of branded, high quality cheeses which offers a great selection then Calveley Mill could be exactly what you are looking for. and deliver our cheeses in our temperature controlled fleet ensuring our deliveries arrive in perfect condition. To place an order or to find out more about our Calveley Mill range of premium cheeses get in touch on 01829 262900.